This CGD is very much AIRWAY oriented with the inclusion of the November Airway Audit & a round-robin “Airway Microskills” session. 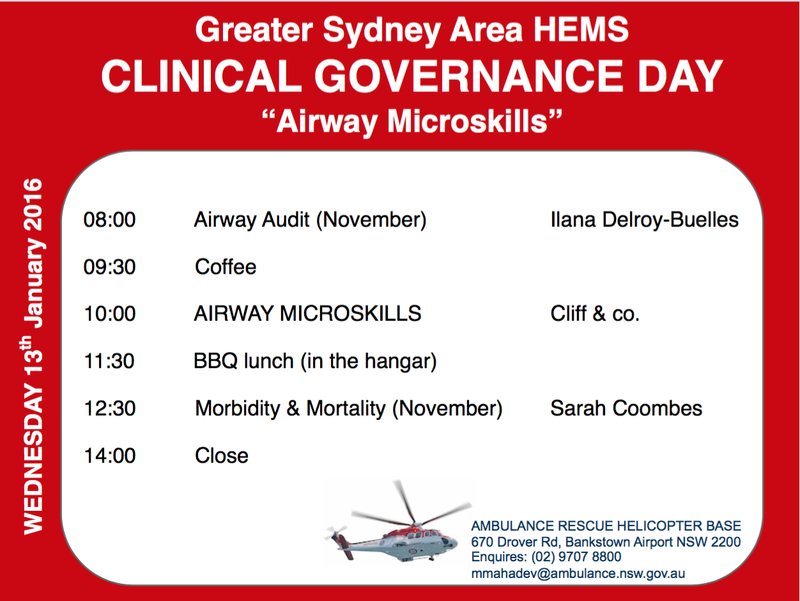 This session will focus on bougie & ETT placement tips & tricks, a meet and greet with the Storz CMAC videolaryngoscope as well as a refresher of our Advanced Airway techniques at Sydney HEMS. All NSW Health staff are welcome, sign-in required. See here for directions. This entry was posted in training and tagged airway microskills, CGD, M&M. Bookmark the permalink.